Be the first to share your favorite memory, photo or story of Col. Joseph. This memorial page is dedicated for family, friends and future generations to celebrate the life of their loved one. 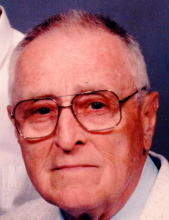 Col. Joseph James Callahan, 89, of Weyers Cave, passed away Wednesday, January 30, 2019 at his residence. Joseph was born in Erie, Pennsylvania on May 16, 1929, a son of the late Elizabeth M. (Eichenlaub) and Joseph Patrick Callahan. Joseph’s 30 year Army career took him to Germany, Korea, Vietnam, Thailand, and Jordan where he advised the Jordanians in the building of an airborne school and training the initial parachute companies. Joseph was in the Corps of Engineers, Rangers, Airborne, Special Forces and Master Parachutist. Joseph was awarded the Legion of Merit, Bronze Star with V, Air Medal with two Oak Leaf Clusters, Army Commendation with one Oak Leaf Cluster, two Purple Hearts, Combat Infantry Badge and four RVN Crosses of Gallantry, one palm, two gold stars and one silver star. On 2/2/1976 he was united in marriage to Betty Jane (Huffman) Callahan who survives. Joseph is also survived by four daughters and three sons, Cecelia Callahan Stalnaker and husband, John, of IN, Joseph Callahan and wife, Elizabeth, of CA, Susan Callahan Hoot and husband, Charles, of FL, Michael Callahan and wife, Tracey, of FL, April Callahan, of VA, Cynthia Cooper and husband, Curtis, of VA, and Charles Callahan and wife, Michelle, of PA. He is also survived by 10 Grandchildren and 4 Great-Grandchildren. Public viewing will be held 6:00 PM to 7:00 PM on Saturday, February 2, 2019 at Johnson Funeral Service in Bridgewater. Burial will be at Culpeper National Cemetery on Monday, February 4, 2019 at 12:00 PM. To send flowers or a remembrance gift to the family of Col. Joseph James Callahan, please visit our Tribute Store. "Email Address" would like to share the life celebration of Col. Joseph James Callahan. Click on the "link" to go to share a favorite memory or leave a condolence message for the family.